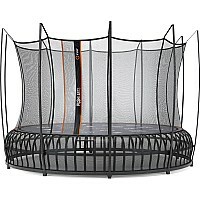 A truly innovative trampoline. 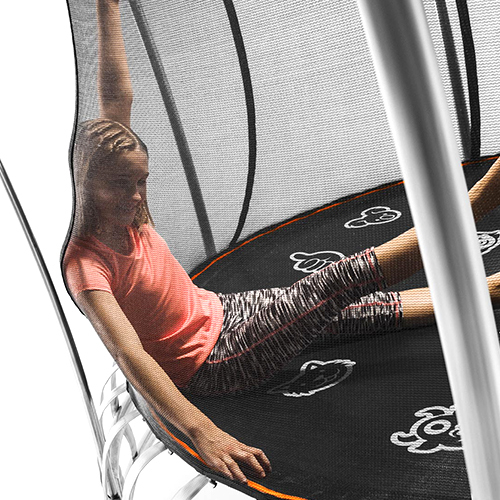 Vuly Thunder is a great coil springless trampoline that will provide years of safe fun. 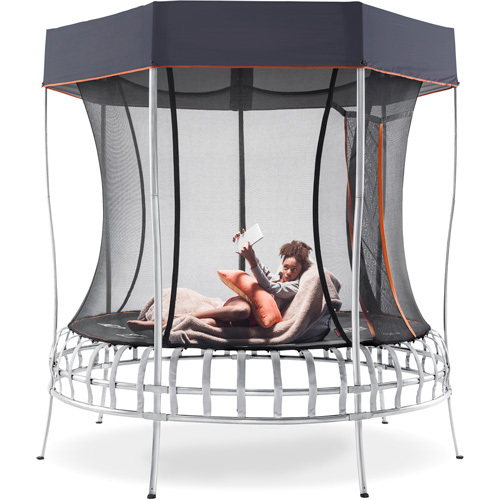 Vuly has now made the safety and fun of a springless trampoline affordable! Stay cool with Vuly's shade cover! 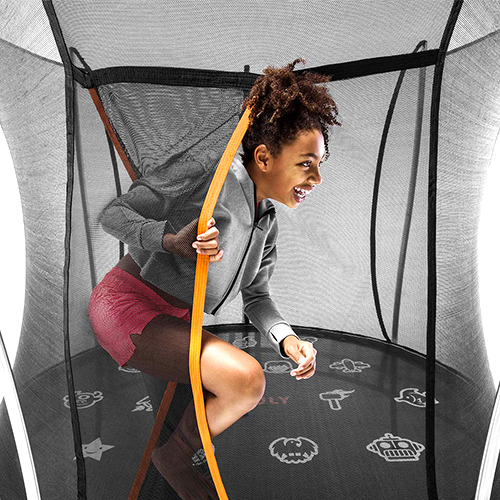 Jump on your Vuly Thunder without worrying getting burnt or getting leaves stuck on the jumping mat. Rebound on a dual-ringed steel foundation that won't bow or break. With the frame higher off the ground, it's easier to move around compared to the Thunder Pro. 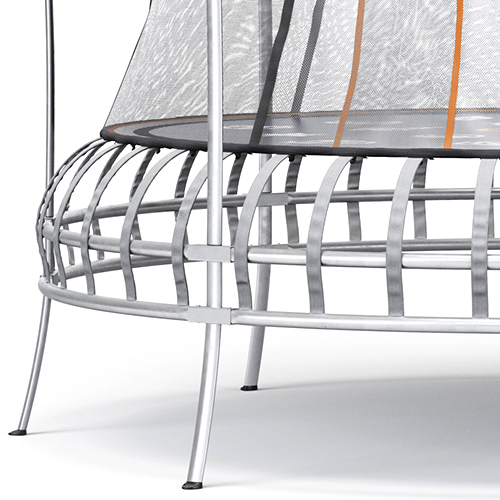 Vuly's signature hourglass design ensures no contact to the steel poles. Compete and play with games right under your feet. 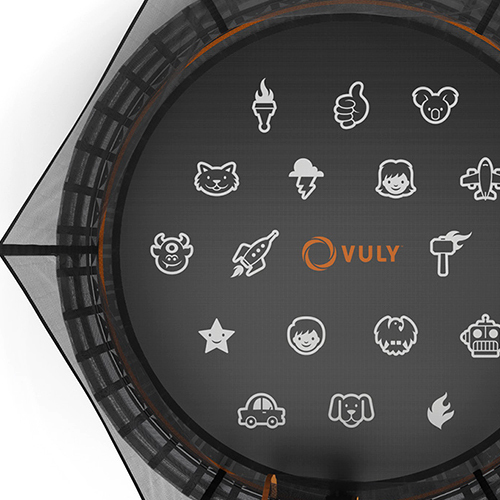 Choose from Vuly's list of games or make them up as you go. The new higher single entrance makes it a breeze to get in and out.